LawCall, where you ask your legal question for free. Send your legal question to an attorney in any of our coverage areas. We have several attorneys in several cities and states to respond based on your question and their expertise. Remember that laws between different jurisdictions may vary. 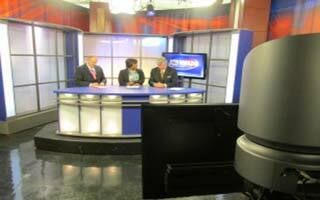 You can call with your legal question during any of the local LawCall weekly television shows. These shows are usually thirty-minute, live programs, permanently hosted by a news anchor and a local law firm. Guest attorneys and other professionals from across the viewing area are invited to join the hosts to discuss legal topics and answer questions. Many lawyers who have appeared on the TV show will talk to you for free. Find guests and featured attorneys.